Sports Connection : Charlotte's Favorite Place For Family FUN! Sports Connection is your number one source for FUN for the whole FAMILY! 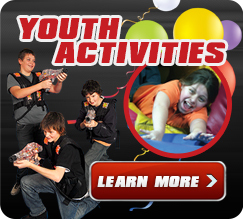 Carolina Juniors Volleyball Club, and many more Adult and Youth Activities. Come visit one of our 3 Charlotte, NC locations today! on Easter Sunday, April 21. © Sports Connection LLC. All Rights Reserved.